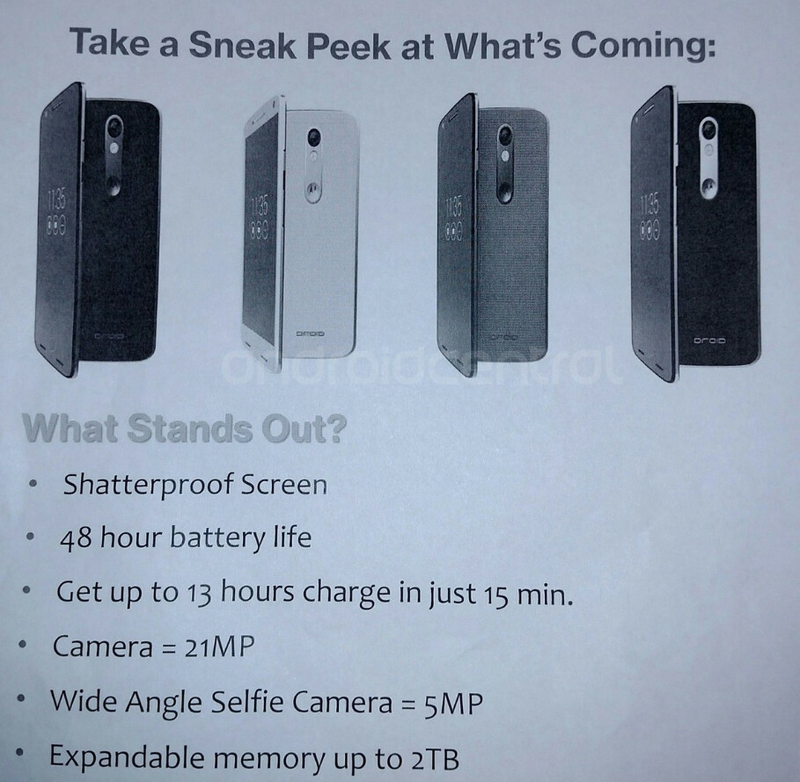 An info sheet leaked from Verizon gives away some more information about the unannounced Motorola DROID Turbo 2, which is expected to be unveiled next Tuesday, October 27th. The sheet confirms that the phone will feature a shatterproof screen, and like the original model, the DROID Turbo 2 will give users up to 48 hours of battery life between charges. There is an improvement to the rapid recharging as 15 minutes plugged into an outlet will now provide as much as 13 hours of battery life. The camera on back will still weigh in at 21MP, although we do expect some improvements to the specs (OIS, perhaps?). The front-facing snapper is getting a bump to 5MP, and takes wide angle selfies. And this time, there is a microSD slot on board, offering 2TB of expandable storage! All of the official details will be released at Motorola's event next week. Between now and then, you should check in often to see if any new information or images have been leaked. 48 hours of "typical", aka subjective battery life? I understand Motorola is probably under an exclusivity contract with Verizon, but the Moto X should have a battery this size. The X force will come to Europe I guess. It would be stupid if they didn't bring it over here. If this phone has ois when the PE didn't, I'm going to be mad. Typical Motorola. I doubt it will. It would be much easier to use the same camera module and software in the Moto X Style/Pure, Play/Maxx2, and Force/Turbo2. That way they can tweak all 3 at once in software updates. i don't understand motorola, don´t get me wrong i love their phones X Pure Specially but they have the perfect place to put a fingerprint scanner and they just use it for their logo. Motorola has much to offer, chances is waiting to enter the sensor on the screen as there are rumors of other manufacturers want to do. 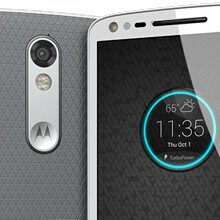 But Motorola is doing an excellent job with their smartphone I like their new philosophy. It will shatter on the 13th drop. Just don't drop it on the 13th floor. I hope this has marshmallow. Now that Marshmallow allows SD cards as internal storage combined with the 48 hour battery, this would be a perfect phone. Up to 2TB of expandable storage? WTF!? How much would that even cost? Just the same as the Motorola Moto X Play released in the rest of the world. Top smartphone, just needs to have 3gb ram instead of 2gb. umm.... no, That's the Droid Maxx 2, not the Droid Turbo 2. Watch that value decrease with the SD808/810. ...that will be blown away by the Snapdragon 820 devices landing in a few months. I've been waiting in vain so long to see Moto Maxx (Droid Turbo I) to land in Europe.. I hope Moto X Force will not disappoint us once again..